Description: A free customizable trolley movement experiment template is provided to download and print. 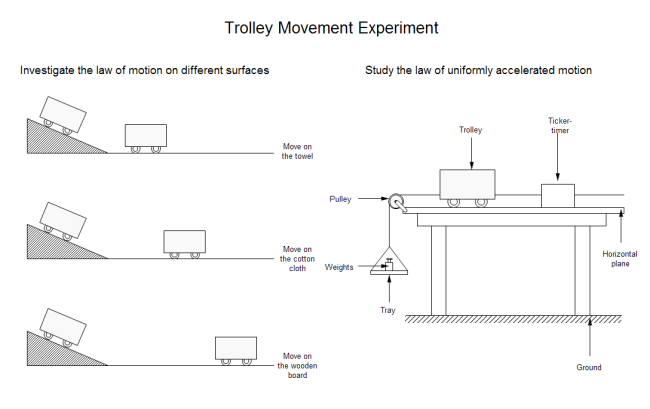 Quickly get a head-start when creating your own trolley movement experiment illustration. You can use this template in physical class, and more physical experiment illustrations can be created through Edraw easily. Share, discover and update Science Illustration templates on professional content sharing community. With Edraw Max, you can edit the free templates for personal and commercial use.